Other information: Good wither other cats. Positive for Feline Immunodeficiency Virus (FIV). 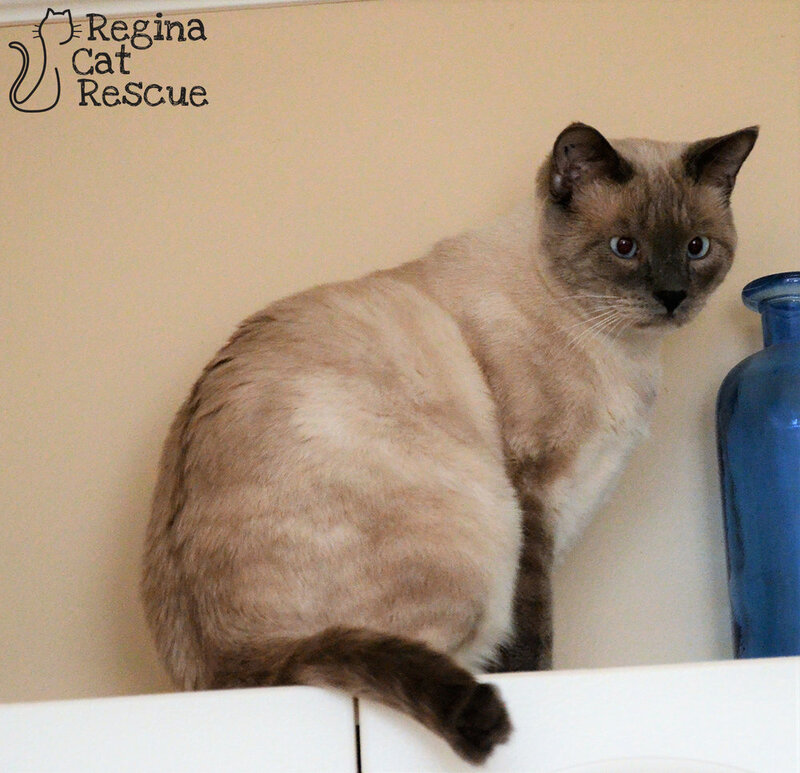 Totoro is a stunning male Siamese Cross who came into Regina Cat Rescue’s care late last fall after a concerned citizen saw him limping around her neighbourhood with severe wounds from cat fights. Concerned for his health, she reached out to RCR for help. Totoro is a handsome fellow who looks to have the world at his fingertips, but sadly, his time on the streets has resulted in him contracting the Feline Immunodeficiency Virus (FIV). This is a street disease that affects cats that have suffered deep bite and scratch wounds and poor Totoro had many such wounds. FIV does result in compromised immunity, but FIV cats can live long and healthy lives with proper care. You can read more about FIV here. Totoro is a handsome and loving young cat with lots of love to give. He gets along with the other cat in his foster home and is always game for attention and affection. He's been healthy and happy so far in care. He loves food, plays and cuddling in equal measure. 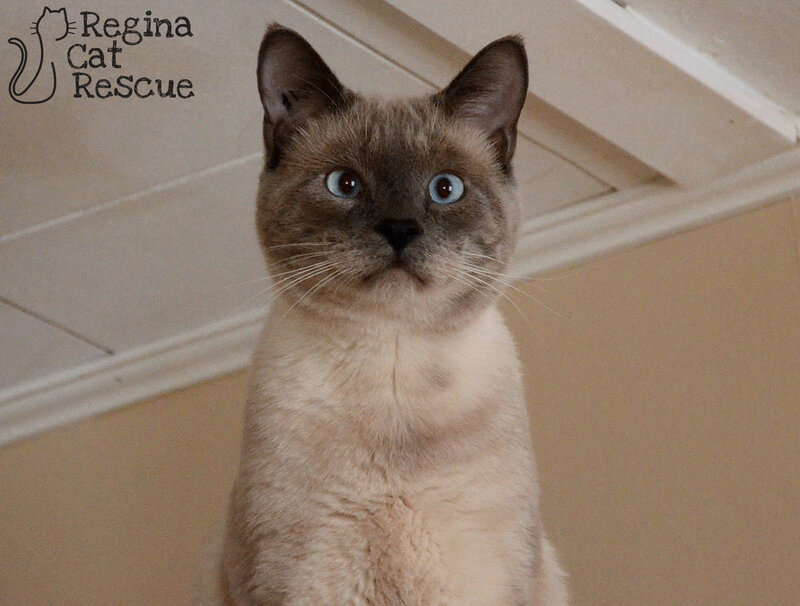 If you are interested in Totoro, click here to view our adoption contract and click here to complete an adoption application or email the RCR Adoption Coordinator at adoptions@reginacatrescue.com for more info.